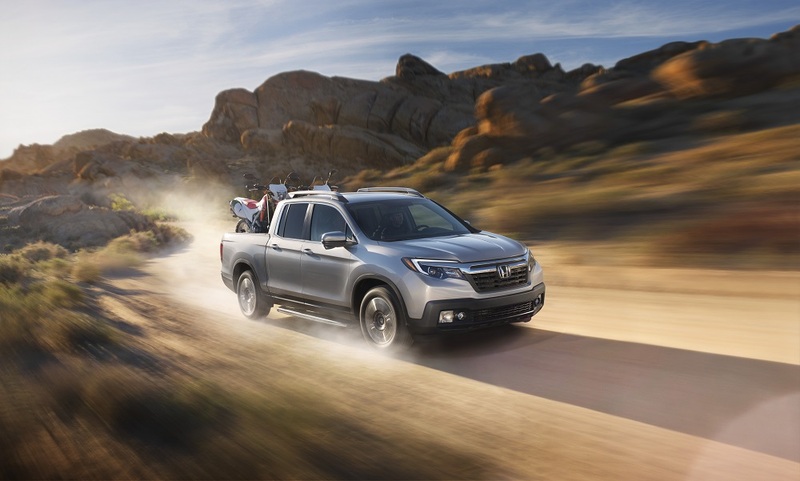 As one of the only true examples of a truck/crossover combination, the 2019 Honda Ridgeline can handle the most rugged of work, but it still provides the comfort and amenities expected of a family-oriented vehicle. If you’re looking for a go-everywhere, do-everything pickup, the Ridgeline has you covered. Drivers in Marlton, Cherry Hill, and Mt. Laurel can find out more about the 2019 Honda Ridgeline with our in-depth review. Built on a unibody platform, the Ridgeline has comfort and refinement rivaling even luxury crossovers. It’s agile around turns and keeps all passengers relaxed with a cushiony ride, while also offering rapid acceleration and smooth shifting that works for both commuting and towing purposes. All Honda Ridgeline trims come with a 280-horsepower 3.5-liter V6 that’s paired to a six-speed automatic transmission. It’s smooth across the powerband and offers a throaty growl, along with a towing capacity of 5,000 pounds and a payload of 1,569 pounds, giving it all the trappings of a traditional pickup. Off-road, the all-wheel-drive system and electronic drive modes keep the Ridgeline surefooted and composed in mud, sand, snow, and other rough conditions. The drive mode allows the transmission shift pattern to maintain a lower gear range and send power to the rear wheels, which works with the soft throttle response to transfer force to the ground and tackle the rough trails. Combining the best of a crossover and a pickup truck is a challenge, but the Honda Ridgeline struck a perfect balance. There’s ample room in the cabin for five adults, even on long trips, and the seating is plush and supportive. With the rear door shape, it is easy to get in and out of as well, which is a shortcoming of many of its competitors. The rear seat can also fold up against the back wall, allowing large or fragile cargo to be transported safely within the cabin. Versatility is another strong point of the Ridgeline. The tailgate can fold or swing, which makes loading and unloading easy and convenient, and several accessory options are available to make better use of the bed’s hauling and storage capability. There’s a trunk under the bed that works as a cooler or additional storage space, as well. The base trims of the Honda Ridgeline come with a 5.0-inch audio display, USB audio, and Bluetooth® connectivity. This is an impressive bundle of tech features for an entry-level pickup, but stepping up through the lineup brings technology like navigation, a 540-watt audio system, audio for the truck bed, and Apple CarPlay™ and Android Auto™ smartphone integration, giving you all the entertainment and connectivity options you need. 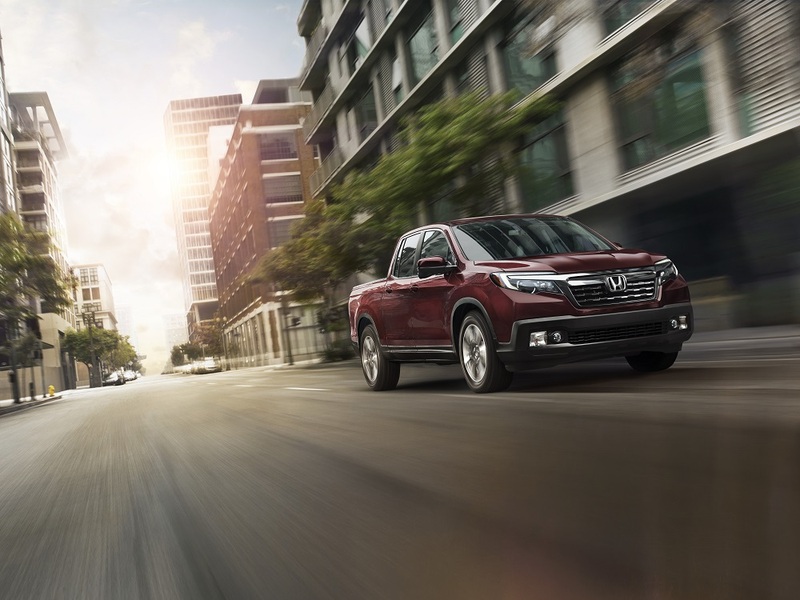 The Ridgeline can also be equipped with Honda Sensing® technology, a suite of safety features designed to make driving and towing comfortable and safe. Features like Lane Keeping Assist, Adaptive Cruise Control, Road Departure Mitigation, and Collision Mitigation Braking System™, work to keep you on track on the road and traveling at a safe distance, as well as preventing potential collisions by engaging gentle adjustments to the steering and braking. If you’re looking for the purpose-built features of a truck in a practical SUV package, the Ridgeline is the perfect choice for you. Drivers in Marlton, Cherry Hill, and Mt. Laurel can learn more about the 2019 Honda Ridgeline by visiting Burns Honda. Call or stop by our dealership today to schedule your test drive!